2019 Iran floods were the flash floods across Iran, began sweeping across cities most notably in the Golestan and Fars provinces. 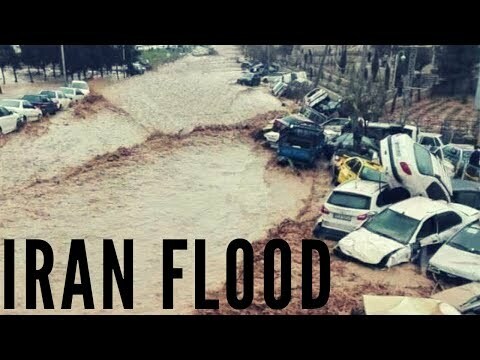 following heavy rain, flash floods in Southwestern Iran, in the vicinity of the city of Shiraz, killed at least 44 people and injured at least 110 others. While thousands of people suffering from disaster, government besieged all forces to mitigate the effects of floods by sending troops, food and medical aids to affected provinces, people depletion and opening dams spillways. According to officials, death toll raised to 44 and hundreds injured so far.